Australia has two faces- One, the bustling and ever-growing cities such as Sydney, Melbourne, and Perth, where you can find examples of any culture, cuisine, art and fashion, as well as swim and surf at some of the finest beaches of the world. Two, a vast wilderness called the Outback- in the heart of Australia, this incredible landscape is stunning and something you will not see anywhere else. Campervans are a great way to see this vast country, a cheaper option for accommodation in the cities and excellent for those who really want to experience the outback and Australia's small towns- in a campervan, you can take the time to stop where you like, see the incredible landscapes as you drive through them and acquaint yourselves with the locals as you pass through. Near urban areas, it is definitely a good idea to stay in designated camp sites and holiday parks. The further into the centre you go, the more low and no cost options you will find- Australia is a nation of campers. On National Park land and aboriginal land, you must camp only in designated sites or with a permit. 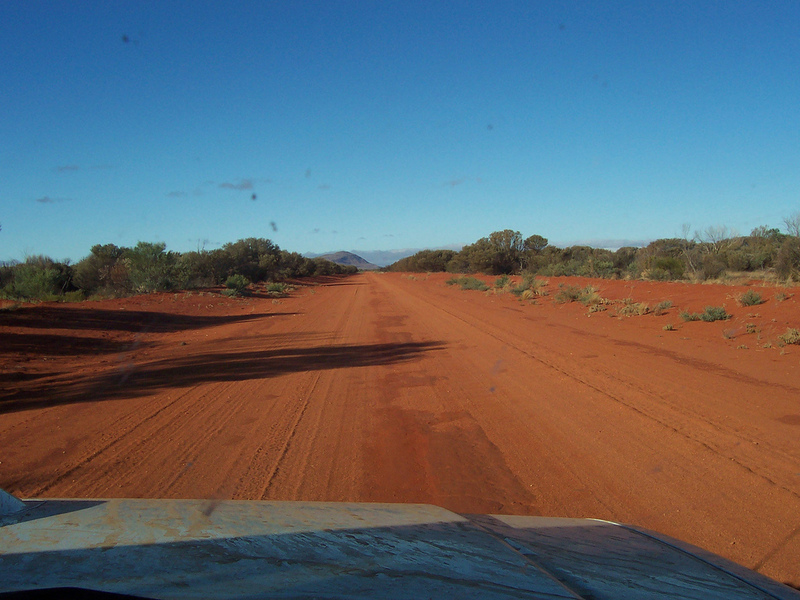 You can freecamp in the road reserves along the public roads in the outback. Keep in mind that a lot of the land you pass through will be privately owned- and while on these vast cattle stations you are unlikely to disturb anyone, remain close to public roads and do not camp anywhere near cattle yards or water bores. The MOST important thing to remember is to take nothing but pictures and leave nothing but footprints, do not disturb any farm animals, do not camp where there are specific "No Camping" signs, and comply with fire bans which are often in place. Also, be very wary of the wildlife- Australia's creepy crawlies can be dangerous, so make sure your campervan's doors are closed against spiders, snakes and the like. 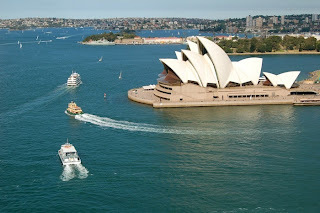 Australia's cities are world-class- Sydney, the largest, is known all over by it's distinctive Bridge and Opera House. It is a centre for culture, commerce, arts, fashion, entertainment and more- ranked as an Alpha+ World City in the Globalisation and World Cities Network. Bondi beach, 30 mins from the city centre, attracts sunseekers, surfers and holidaymakers during the summer season, and is absolutely bustling with eateries, shops and entertainment. Taronga Zoo is the leading zoo in Australia and there you can discover the truly original wildlife that exists down under. The Sydney Opera House is an amazing venue for all kinds of entertainment. Whatever you are looking for, you will most likely find it in Sydney. Melbourne, situated on a harbour at the most southern point of mainland Australia, is a creative and exciting city. 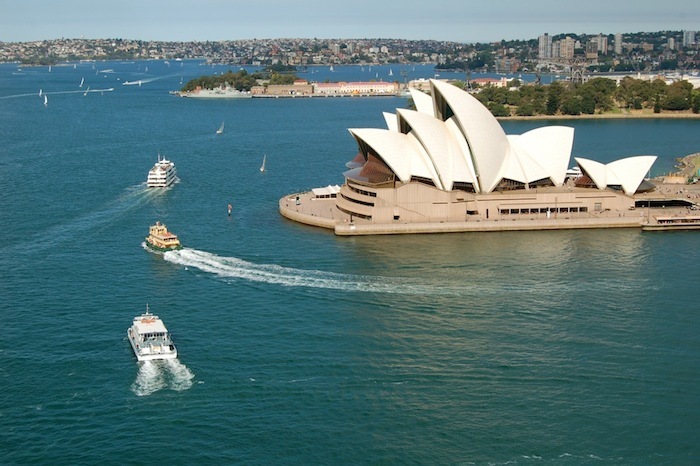 It is the birthplace of institutions such as the Australian film and television industries, Aussie Rules Football, the Australian Impressionist art movement, and more, earning it the unofficial title of the "Cultural Capital" of Australia. In Melbourne, I suggest you visit a theatre, art gallery or live music venue- or all three! 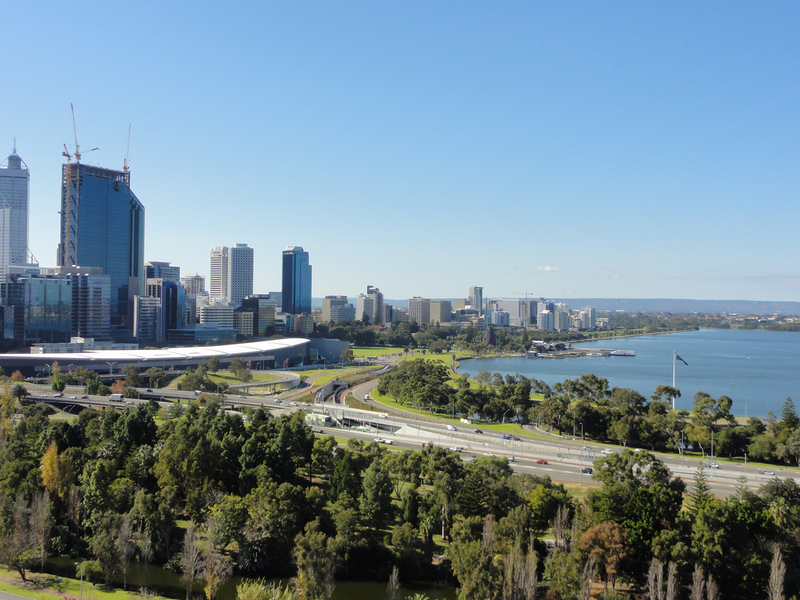 Perth is quite remotely situated on the western coast, across the country from most other big cities, so is the ideal start or finish point for a trans-Australia road trip! In Perth, you can visit the fun, relaxed nearby port of Fremantle and try freshly- caught fish and chips by the water, watch an Indian Ocean sunset at Cottesloe Beach, climb the DNA Tower (looks like a double helix!) 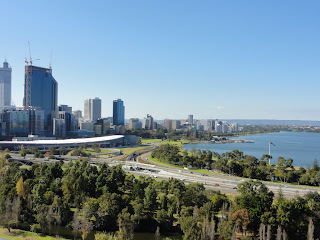 in King;s Park and enjoy the view over the whole city, or visit the fascinating underwater world of the Aquarium of Western Australia. The inland area of Australia, the Outback, may seem nothing more than a barren desert, but it is so much more. 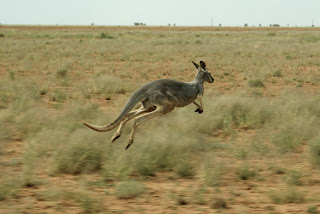 By traversing the outback, you will see some amazing sights, meet some "true-blue" Aussies and experience the uniqueness of this land which can be considered the world's largest island or the world's smallest continent. 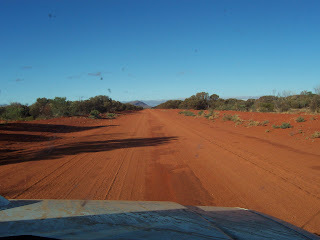 It is impossible to cover the whole of the outback in one blog entry- you will have to discover it as you go! High on the list of must-dos is chatting with the locals in a small-town pub. Also, keep a look out for Kangaroos and Koalas, those icons of the country. Uluru, also known as Ayers Rock, has become a symbol of the Australian Outback. Right near the middle, it is almost a pilgrimage for visitors who venture into the centre of Australia. Uluru is a sandstone formation that rises quite suddenly out of the surrounding desert, and it is quite stunning at sunrise and sunset when the sun seemingly sets it alight, making it glow red and golden. Alice Springs is the Outback region's biggest city, and is geographically smack bang in the centre- so should you want a bit of civilisation on your journey across the wilderness, stop at "The Alice," as it is known by locals! Not far from Alice Springs is Watarrka National Park, home to King's Canyon. 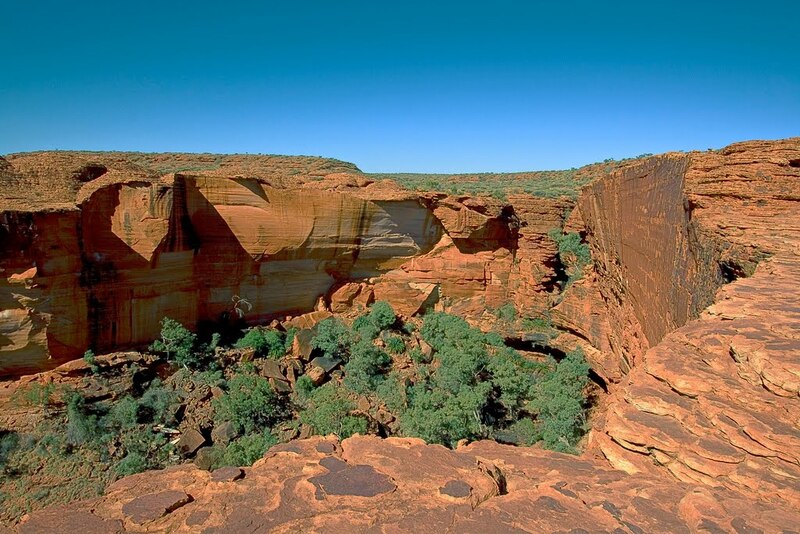 You can walk along the floor or the rim of this stunning canyon, and be wowed by the natural beauty Australia possesses. Apart from these few major attractions, there is no advice to give except- be safe, be a responsible camper, especially when freecamping, and be open to the experience of the outback- talk to locals, be flexible with your plans, collect suggestions from people you meet. For campervan hire Australia, click here.